Biomek i-Series Automated Workstations have been designed to optimize dependability and walk-away time in mid to high throughput labs. You can build a system to meet your needs - choose the accessories you need to maximize the efficiency and reliability delivered by Biomek -i-Series. 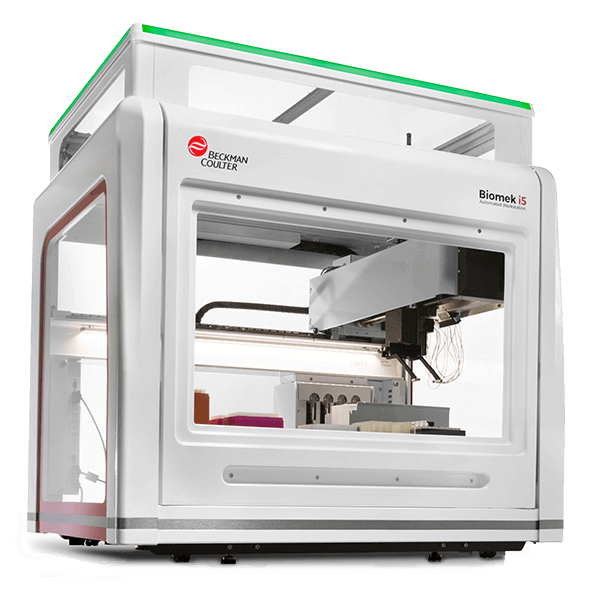 Biomek i-Series Automated Workstations enable “4D INTEGRATION” with access from 4 directions— right, left, back and below—i- Series workstations make it easy to integrate a growing menu of devices, components and accessories. Bright, multiple color- and pattern-coded status light bar alerts you to the instrument’s current mode, even from across the room. Rotating gripper with unique offset finger design optimizes access to high-density decks, enabling more efficient workflows. Grid-based deck with simple accessory installation enables quick workflow changes. 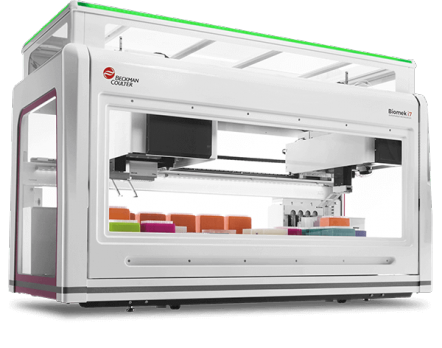 Safeguard sample and reagent integrity from air particulates with enclosed versions of the Biomek i-Series Automated Workstations.